The windows in our home do so much more than offer curb appeal and fresh air when opened on a nice day. Windows also play a big role in how energy efficient your home is during the winter months. Having a drafty window during a Midwest winter can lead to an undesirable temperature inside your home and an increased utility bill. With colder months quickly approaching, now is the time to make sure that the windows in your home are ready to keep out the cold air and your energy bill efficient. According to Energy.gov, drafty windows in your home can cause your energy bills to be about 10% to 25% higher. Heat gain and heat loss through windows are responsible for 25%–30% of residential heating and cooling energy use. Replacing your windows with an energy-efficient model can greatly reduce your utility bill year-round. New energy efficient windows come in a variety of price ranges and add a great deal of worth to your home. With so many different energy efficient window models and brands on the market, it can seem daunting when narrowing down your choices. Our team at Exterior Remodel and Design is here to help! When it comes to finding the right windows for your home, here are a few industry terms you should become familiar with so you can be confident in your final choice. Low-E: This term stands for low emissivity. It refers to the window’s ability to reflect rather than absorb heat when coated with a thin metallic substance. U-Factor: The U-Factor measures the rate of heat transfer and tells you how well the window insulates. The values generally range from 0.25 to 1.25 and are measured in Btu/h·ft²·°F. The lower the U-Factor is, the better the window insulates. Glazing: This term refers to the glass that is used in the window. The number of layers of glazing doesn’t necessarily result in greater efficiency. Glazing coatings can affect a window’s U-Factor. Gas fills: This refers to argon or krypton gas being placed between the glazing layers to improve insulation and slow down heat transfer. Spacers: Spacers separate sheets of glass in a window to improve the overall insulating quality. Spacers also help prevent condensation and heat loss. When it comes to ensuring your new windows will keep your home energy efficient, trust the installation process to professionals. Exterior Remodel & Design is a trusted name in both Lincoln and Omaha when it comes to the installation of new and replacement windows. We have been installing windows from trusted brands like Pella®, Jeld Wen®, and Anderson® for more than 25 years. 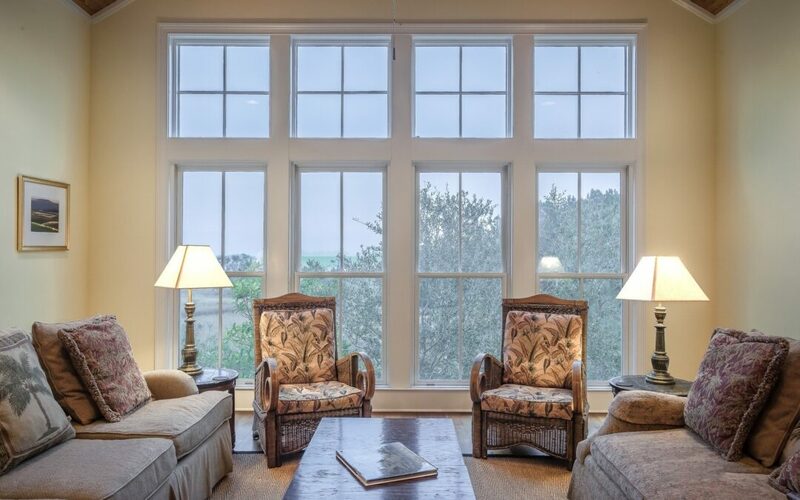 Our window specialists will help you get the best windows possible for your home and will ensure that you can enjoy them for many years to come. Contact our team today to schedule your free estimate.